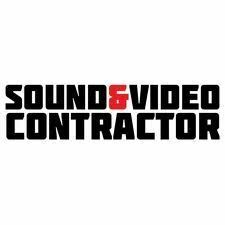 Sound & Video Contractor's Innovative Product Awards acknowledge both electronic and mechanical innovations, and, most of all, celebrate the engineering and engineers behind each of these products. "Your vote is needed in choosing the most innovative products of 2018—we want to know what you think has been the most ingenious new products based on innovation in features and/or engineering," said Cynthia Wisehart, content director, Sound & Video Contractor. "If you can spend a couple minutes and vote among our contenders, it'll be your chance to honor your favorite products that have been entered into our contest!" Voting ends on November 4, 2018 at 12:01 a.m. EST.